Go from 0-60 mph in just 2.7 seconds with an Ariel Atom driving experience. The astonishingly fast Ariel Atom offers speed demons an entirely unique driving experience. The Atom is as quick a Bugatti off the mark and can corner like an F1 car with a superlight exoskeleton chassis holding it all together. The Ariel Atom is available to drive at circuits and venues up and down the UK. See the full range of Ariel Atom driving experiences below. 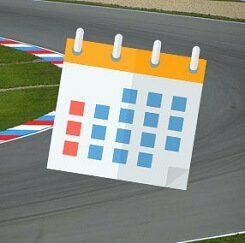 Find available dates for ariel driving experiences with our live calendar. 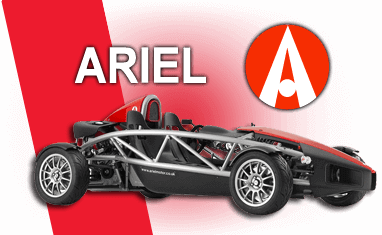 What is an Ariel Atom Driving Experience? When it comes to the perfect driving experience car, what do you really want? Lightweight, good power and brilliant handling, the Ariel Atom might just check all those boxes. Lightweight? Of course, the Atom weighs just 612kg, about half the weight of your average city car. Power? Definitely, the Atom produces 300bhp from its 2.0-litre supercharged engine, pushing the car from 0-60mph in just 2.8 seconds, matching the time of the incredible McLaren 570S. And finally handling, the Atom handles with pinpoint accuracy. Able to hit every apex you point it at, the Atom also lets you see exactly where your tyres are going thanks to its exoskeletal chassis. This lightweight track weapon is available for you to drive at a number of venues across the country. You could experience the tight corners of Oulton Park, the straights of Silverstone, or get to grips around Dunsfold Park, better known as the Top Gear test track. Each of the track options will let you experience everything the Atom has to offer. We also have a number of experiences that will let you compare the performance of the Atom with that of its much bigger more powerful supercar brethren. You could take on a Ferrari, Porsche or even an Aston Martin along with the lightweight supercar, the Ariel Atom. Our experiences will let you get behind the wheel of up to six supercars of your choice, including the Ariel Atom. The Atom is certainly one of the more interesting cars in the TrackDays fleet and while it may not have the luxurious leather seats of an Aston Martin or the beautiful looks of a Ferrari 458 Italia, the Atom doesn’t need any of that as it has been built with one purpose in mind – the perfect driving experience car that will live long in your memory. Above you will find all of our terrific track day packages which make great gifts for any motoring fans and will let you push the Ariel Atom to its limits. You can order a 10-month gift voucher or book directly onto a date. How do I book an Ariel Atom Experience? We want to make it as easy as possible for you to book your experience. You can either buy one of our Ariel Atom driving days as a 10-month gift voucher or book directly onto a date. If you cannot see any dates on the voucher page then simply email or call us and we can give you the most up to date availability. If you are looking to make a bespoke package or you are interested in making one of our experience into a group/corporate event then please get in touch by going to our corporate day's page and filling in the enquiry form. What did Jeremy Clarkson think of the Ariel Atom? After former Top Gear presenter Jeremy Clarkson described the experience as being 'the time of my life' you'll agree that a drive in the Ariel Atom track day is very unlikely to leave anyone disappointed.